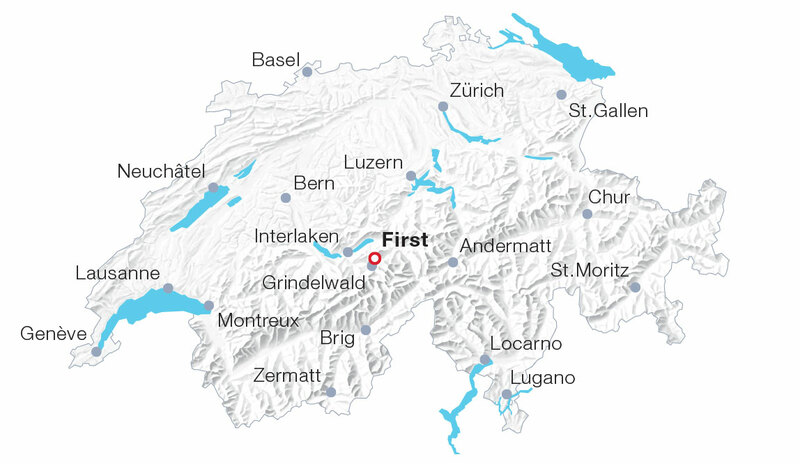 “First” is the starting point for many hiking trails and it offers fun and action: for instance, guests could start with the free “First Cliff Walk by Tissot”. Grindelwald First tempts visitors with a magnificent view to the Eiger North Face. Adrenaline kicks and speed thrills are virtually guaranteed on the 800 metres long First Flyer and the trottibike scooters. Courageous ones glide freely through the air on the First Flyer – suspended on a rope and at a top speed of 84 km/h. Children will have fun on the 700m2 playground at the Bort intermediate station. A leisurely hike to Lake Bachalpsee is a must in the First area. From the mountain station, visitors arrive at the world-famous, beautiful picture postcard view of lake and mountains within an hour. Operates daily from 24 November 2018 to 27 October 2019.